Smart Beginnings Rappahannock Area – Ready for School. Ready for Life. Is Your Child's Center Participating in Virginia Quality? 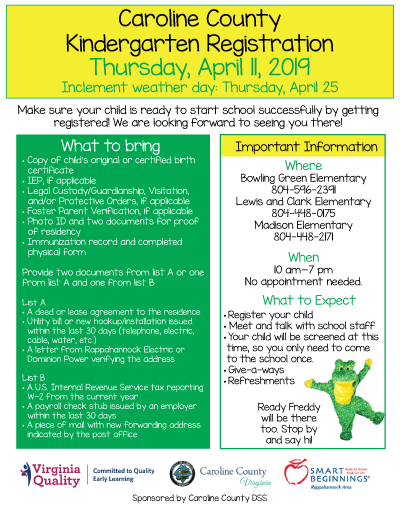 Smart Beginnings Rappahannock Area, a 501(c)(3), is an early childhood initiative designed to ensure young children are prepared for success in school and success in life. We are a coalition of over 80 public and private agencies, businesses and individuals. Smart Beginnings Rappahannock Area is led by an active volunteer Board comprised of community leaders and we are supported by local businesses, educational institutions, non-profit organizations, and local governments. We bring together parents, business people, community leaders and local agencies to strengthen existing early childhood education programs and implement new approaches where needed. 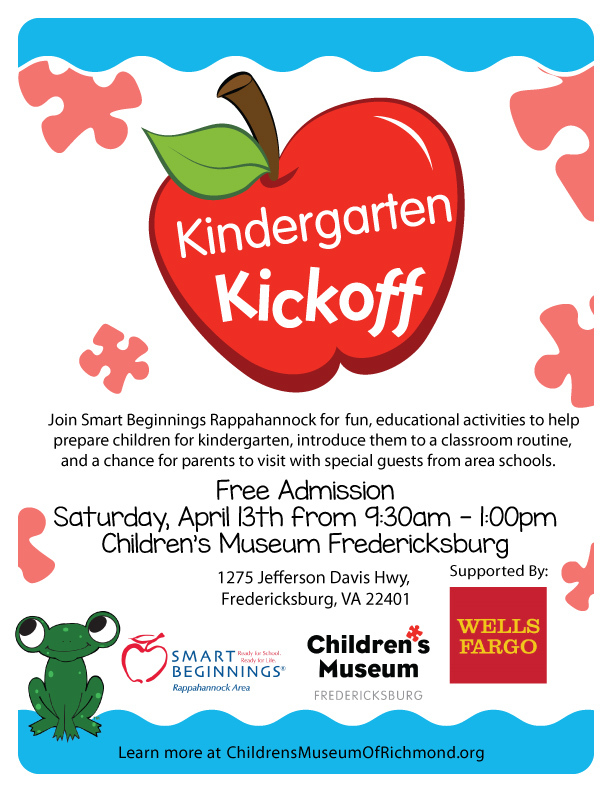 Smart Beginnings Rappahannock Area serves the city of Fredericksburg and the counties of Caroline, Culpeper, King George, Spotsylvania and Stafford. We are deeply concerned that in our region, up to 1 in 7 children arrive in kindergarten without the basic skills to succeed. This severely limits their chances for success in the work place, in their own personal health and in their ability to contribute to society. We believe that supporting early childhood education is a smart investment with a proven return. Studies by the Federal Reserve, the World Bank and the Economic Policy Institute share this common conclusion: investing now in early childhood development yields tremendous economic and social benefits by reducing crime and welfare dependency while building the competitive, productive workforce our community will need in the future. 1 in 7 children in our community arrive in kindergarten without the basic skills to succeed. 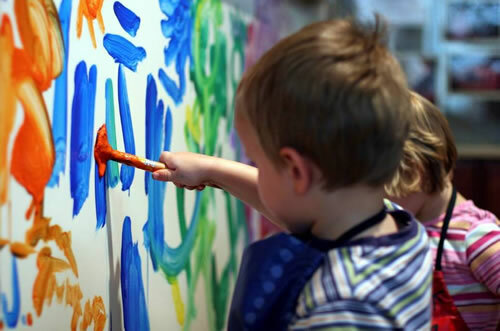 90% of a child's brain is developed before reaching kindergarten. Studies show that every $1 invested in early childhood education returns up to $17 to our community. When at-risk children experience high-quality early learning programs, they have better school, employment and life outcomes. The seeds of desirable workforce skills - critical thinking, teamwork, effective communication - are planted before the age of 5. Early experiences carry lifelong effects, not just on cognitive and emotional development, but also on long-term physical health. Smart Beginnings Rappahannock Area's mission is to lead community partners in maximizing and coordinating resources that ensure equal opportunities for all young children, birth to five, to be ready for school and ready for life. In addition to serving the city of Fredericksburg and the counties of Caroline, Culpeper, King George, Spotsylvania and Stafford, we also work in Fauquier, Rappahannock, Prince William County, Manassas, and Manassas Park through our VA Quality program. Our organization is part of a statewide network of similar early childhood organizations. Locally, we are guided by a voluntary Board of Directors comprised of community leaders and we are supported by local businesses, educational institutions, non-profit institutions, and local governments, business and educational leaders. SBRA implements several early childhood strategies in our region in order to enhance the quality of early childhood education and service programs for children birth to age five. We are a coalition of over 40 public and private agencies, businesses and individuals. We are funded through generous donations from local businesses, organizations and individuals, as well as grants from several sources.